Our organization has secured a distinguished position in the market as a reputed exporter and supplier of high-quality Siemens Burners Photocell that is highly demanded in the electrical industry. It is manufactured using premium quality raw material and modern machinery at our vendors' end. Offered product is available in various specifications to meet the diverse needs of the clients. To ensure its flawlessness, the offered product is tested on various parameters by our quality controllers. We are offering this Burner Photocell at pocket-friendly costs. 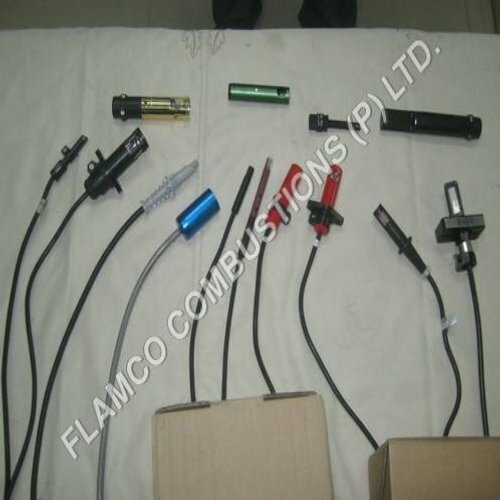 Established in 1992, we Flamco Combustions Private Limited are engaged in Manufacturing, Exporting, Importing, and trading of superior quality Burner Control, Photocell & UV Cell, Burner Motors, Connectors, Burner Control Boxes & Photocell, Ignition Electrodes and Oil & Gas Pressure Gauge. In addition to these, we also offer Nozzles & Fuel Pumps, Nozzles, Gas valve, Fuel Pumps, Ignition Transformer and Gas Valves. The offered products are manufactured superior grade material in compliance with international quality standards. Owing to our rich vendor base, we are able to import and supply superior quality Denmark, Italy, and France made products. Our vendors such as F.B.R. Bruciatori S.R.I., COFI Ignitions, Honeywell Satronic, SIMEL, Siemens and Suntec Pump are well known in the industry for maintaining consistent quality standards in their products. At the time of procurement, we ensure that these products are manufactured as per defined industry standards through extensive quality test measures. Moreover, our professionals also keep visiting the vendors' premises to monitor the quality of products during the manufacturing stage. With a superior quality product range, we serve varied industry segments such as Heat Generators, Boilers, Furnaces, and Chemicals.